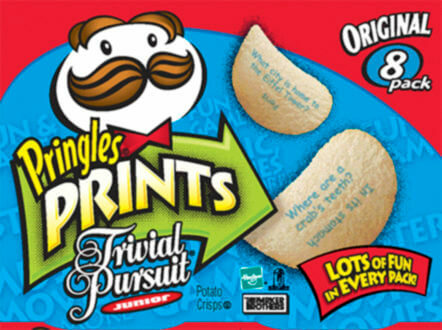 Pringles Prints™ launched in July 2004 with a 3-month back-to-school in/out promotion featuring Trivial Pursuit Jr. 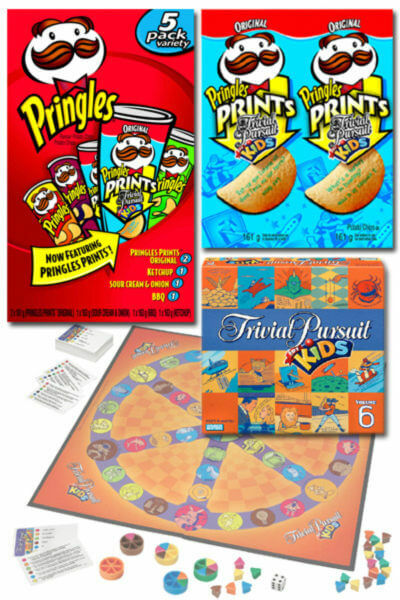 This partnership between P&G and Hasbro was the first for Prints and negotiated by Stafford. The partnership agreement with Hasbro was executed at the corporate, not brand level. It provided the framework to activate multiple-promotions across multiple brands. This partnership also provided Stafford the opportunity to negotiate in-store activation with Toys “R” Us (see below). FSI: P&G Brand Saver coupon insert delivered to over 50MM HH’s. 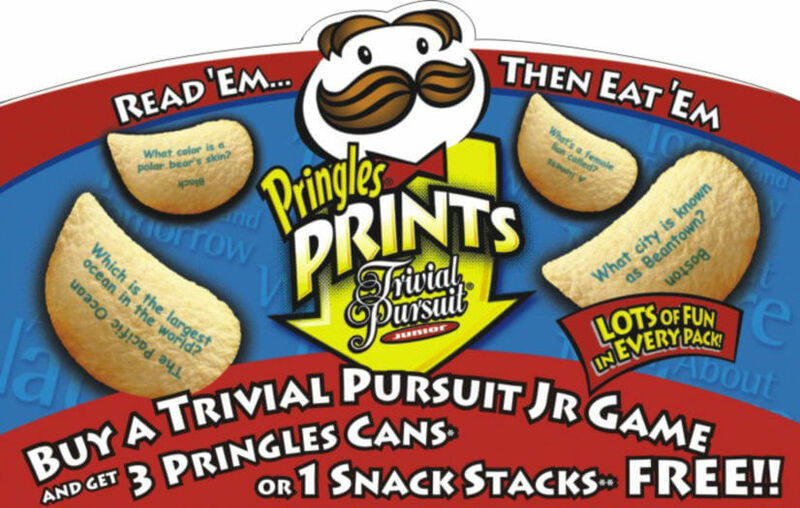 The Trivial Pursuit promotion offered a unique opportunity for Stafford to leverage the partnership and develop an alternative channel of Pringles distribution. 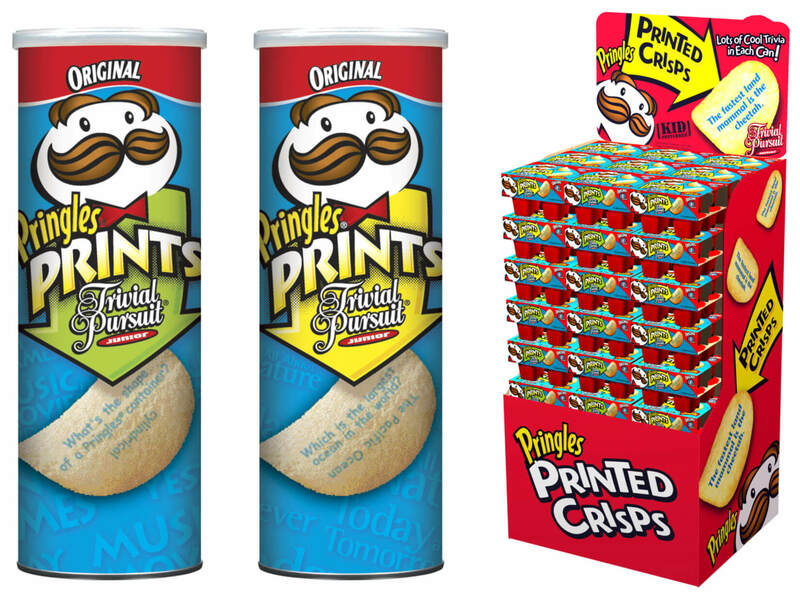 The TRU program featured a free standing Pringles display set beside a floor stack of the Trivial Pursuit Jr. game at prime locations in all TRU stores across the U.S.
At Safeway Pringles and Hasbro joined forces in an exclusive promotion and consumer offer. 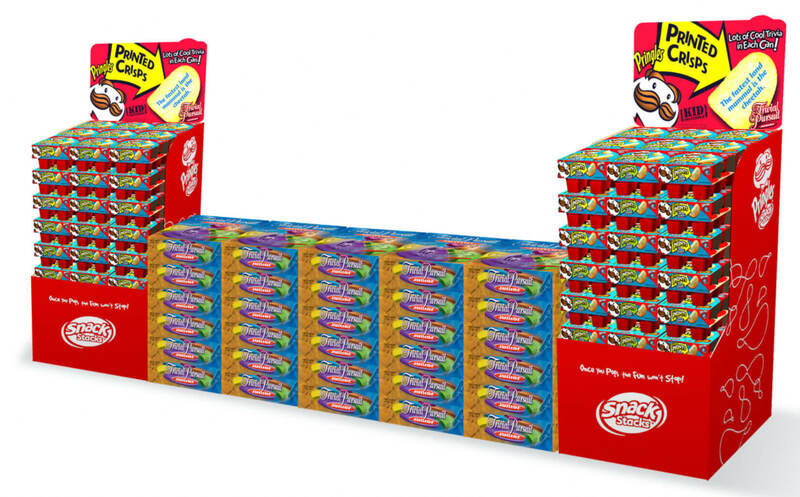 The Read’em…then Eat’em promotion included a special Hasbro free standing display, carrying the promotion and Trivial Pursuit games, plus a coupon insert into the Safeway flyer and local newspaper ads. 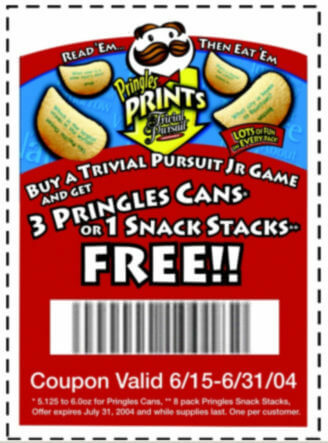 Consumers received (3) cans of Pringles or (1) 8-pack of Snack Stacks FREE with the purchase of Trivial Pursuit Jr. at participating Safeway stores. 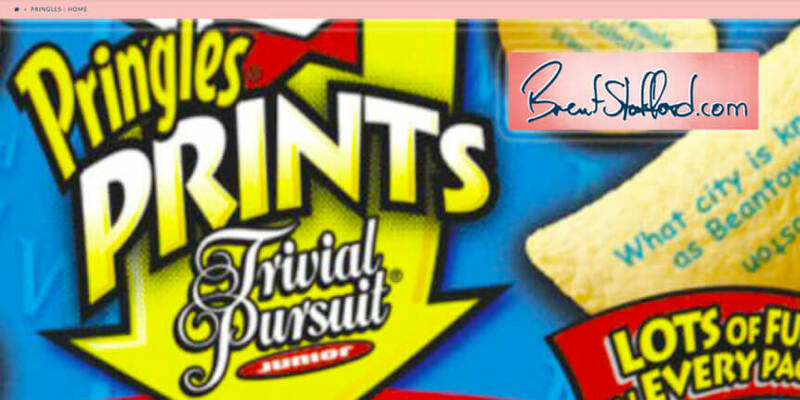 TRIVIAL PURSUIT® is a registered trade-mark of Horn Abbot Ltd.
©2004 Hasbro. The PARKER BROTHERS and HASBRO names and logos are trademarks of Hasbro. All rights reserved.